Third-party manufacturers in China are supposedly mass-producing Lightning cables with working authentication chips allegedly reverse engineered from Apple's official model, and are shopping their wares to overseas resellers, AppleInsider has learned. 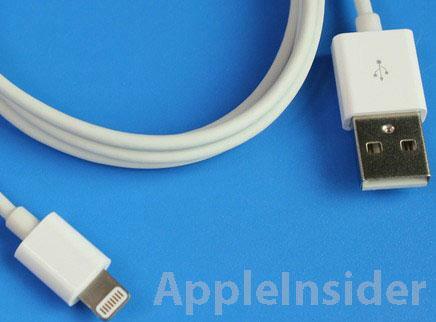 One such cable was shipped to a possible reseller in the West who, under the name "Magnus Hanso," provided AppleInsider with exclusive photos of the purported Lightning to USB connector, saying the component came directly from a manufacturer in China. 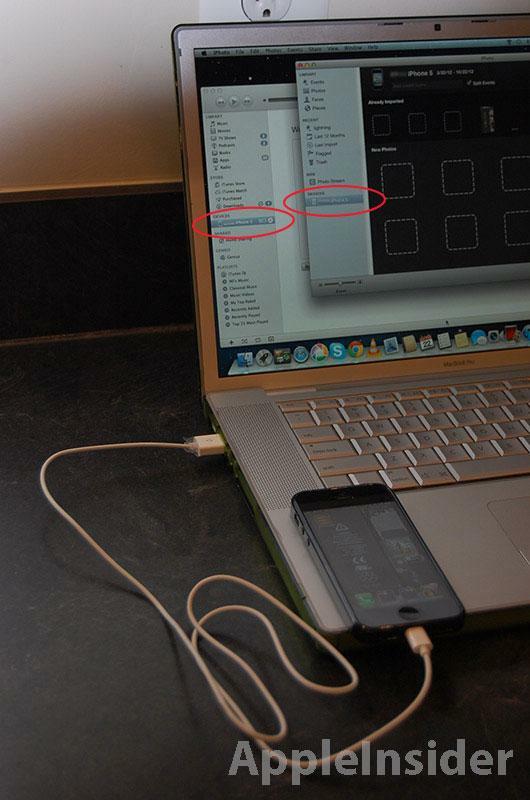 While AppleInsider cannot verify the legitimacy of the part, Hanso agreed to connect their iPhone 5 to a MacBook Pro using the cable, illustrating that the component does in fact allow the computer to recognize the handset. An image of a successful photo transfer was also provided for further verification. Photo of iPhone 5 recognition and file transfer. There are clear differences when comparing the purported Chinese "knock-off" and the official Apple-designed part that comes with every new iPhone 5, fifth-generation iPod touch and seventh-generation iPod nano. Most notable is the unauthorized unit's plug, which is larger and more squared-off than its first-party counterpart. Also, the sleeve lengths of both the Lightning and USB plugs are much shorter on the third-party version. 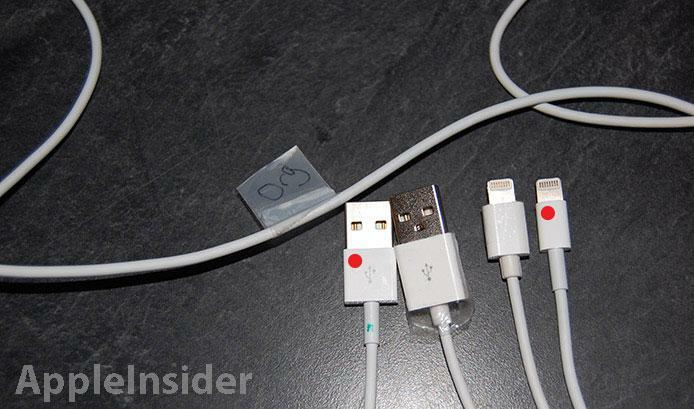 Comparison of official Apple Lightning connector (marked in red) and unauthorized third-party cable. Hanso noted that the build quality of the cable is quite good, equating it to an engineering sample. In comparison to non-Apple 30-pin cables the source has seen in the past, the Lightning to USB connector is of much higher quality. While the unit was not torn down to confirm if an authentication chip was present, the third-party cable did interface correctly with a MacBook Pro, which recognized an iPhone 5 and completed a transfer of multiple image files. It is possible that the alleged cable is using "leaked" or illegally purchased connectors from Apple's main supplier Cheng Uei, however it is unlikely that such black-market buys could support the scale of production hinted to by Hanso's Chinese distributor. Adding further evidence that the security device has been cracked is a Monday report that claimed the authentication chips themselves are already in production, with multiple variants being sold throughout China. 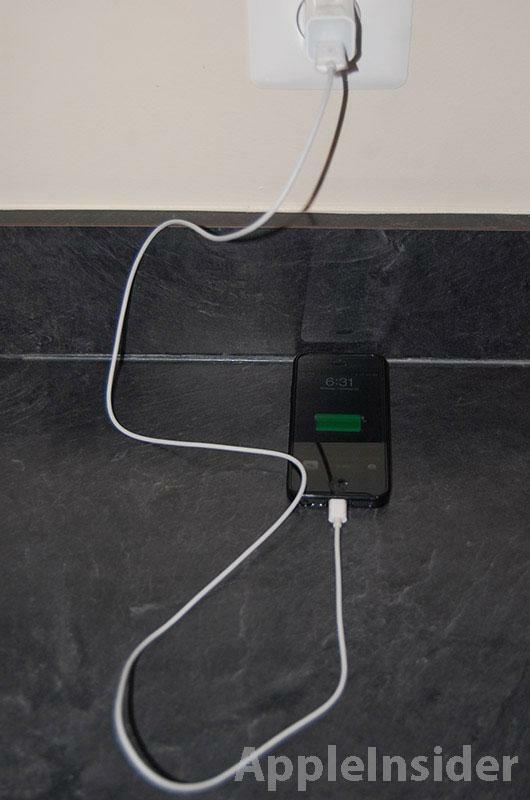 Third-party cable facilitating iPhone 5 recharge. Finally, Hanso claims the unofficial cables are being priced well below official Apple units, and could be making their way to U.S. shores before the busy holiday shopping season. With Apple widely expected to introduce a 7.85-inch iPad mini, and possibly a tweaked full-sized iPad with Lightning connectivity, at a special event later today, the rumored third-party cables could be positioned for quick sales as the company's own supply is running low. Currently, the Online Apple Store is quoting one to two weeks for a Lightning to USB cable. AppleInsider was first to report that Apple was presumedly using an authentication chip with its 30-pin dock replacement. A subsequent investigation by analysis firm Chipworks revealed that the security device is a Texas Instruments chip that offers security measures on par with older print cartridges.